Lucy was found abandoned in an empty row house undergoing renovation. 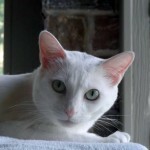 Her rescuer intended to keep her, but after many months it has become clear that although Lucy adores people and is very affectionate with them, she cannot live with dogs or other cats. 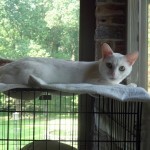 Consequently, Lucy is currently living in one room, and her rescuer believes she deserves more. 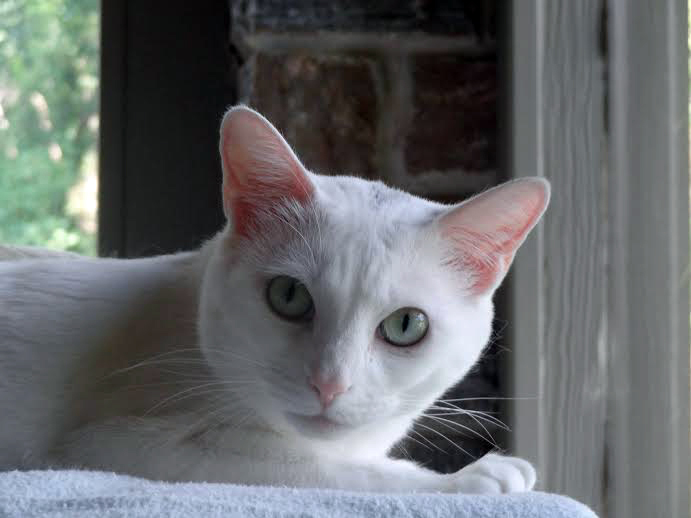 This gorgeous, pure white cat is about 2 years old, has been spayed, and is up to date on her shots. 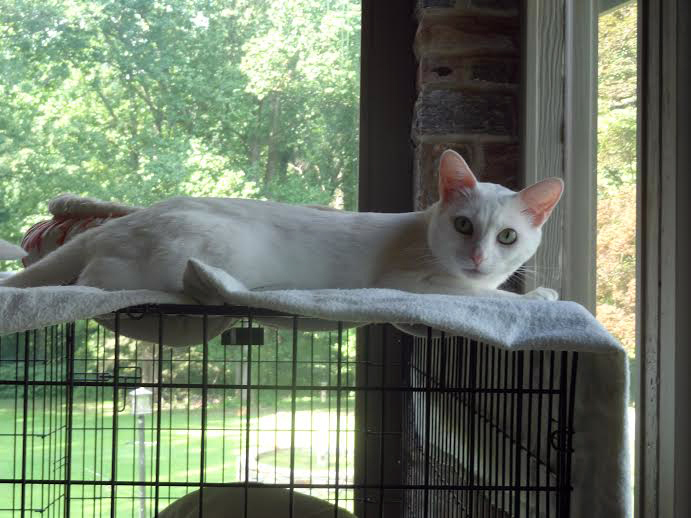 If you live in the MD/DC/NoVA area and are interested in adopting Lucy, email brendangc@verizon.net. Good with dogs: I’m not good with other dogs. Good with other cats: I’m not good with other cats. If you are interested in Lucy, consider letting us know by filling out a (no-obligation) adoption application. Please consult our Adoption FAQ before contacting us. A good piece about helping (or not) babies in the wild.